Matte lips have become one of my favourite things. I just love the look of them and 80% of the time they are much longer lasting. These Glam Matte Lipglosses from Loreal are matte lips but apply like lip gloss? That made me extremely curious, how is that possible? But it is. 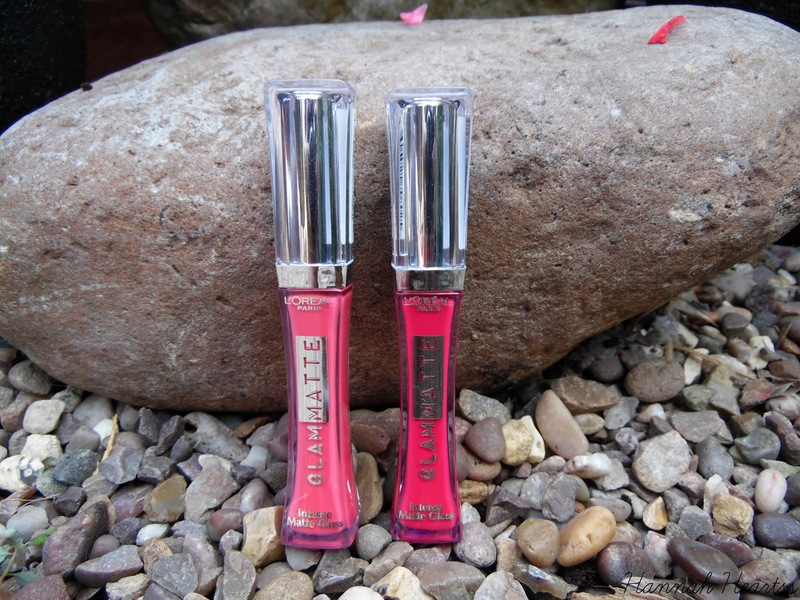 These have the same packaging as the glam shine lipglosses which can be a little confusing if you have both. These retail for £7.99 each but I think they are on offer in Boots at the moment if you want to go get you some. 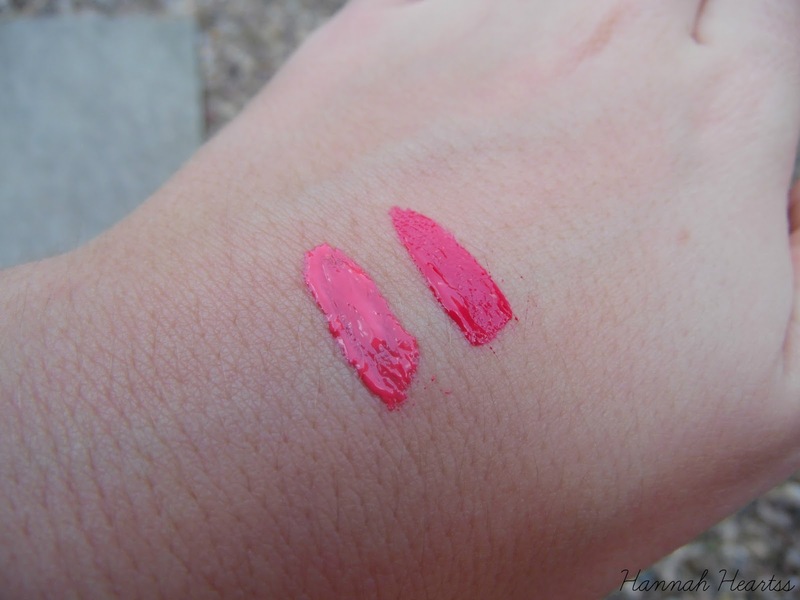 I have two shades, I have Coral Deminista which is a pink with a hint of orange and Cherry Crop which is a dark pink with a hint of red. These are so pigmented, I was actually surprised. For it being a 'lip gloss' I was really surprised. I only needed the tiniest amount to get a full coloured lip. What I will say about application is that because of the applicator I ended up getting it all over my teeth which I thought was just me but my sister used one and the same thing happened to her so you definitely need a mirror when you apply these. These do have great lasting power. These sit exactly the same to lip gloss so it doesn't sit in any dry spots. The only downside of this is that they do gather around the outside of the lips or in the corners which can sometimes lead to the product bleeding outside of the lips so I had to keep checking that I didn't have product all over my face. These last quite well through drinking but when it came to eating a meal it was almost completely gone. These do leave some colour behind so you don't end up with naked lips. I kind of wished these dried a little bit and wasn't so glossy so I didn't have to worry about them bleeding too much. I'm not sure if I would purchase any more shades of these but I will definitely use these up and enjoy them. I just wish they didn't end up all over my teeth. You can find these at Boots, Superdrug and anywhere they stock L'Oreal for £7.99.